On March 31st of this year, Netflix released its series 13 Reasons Why. 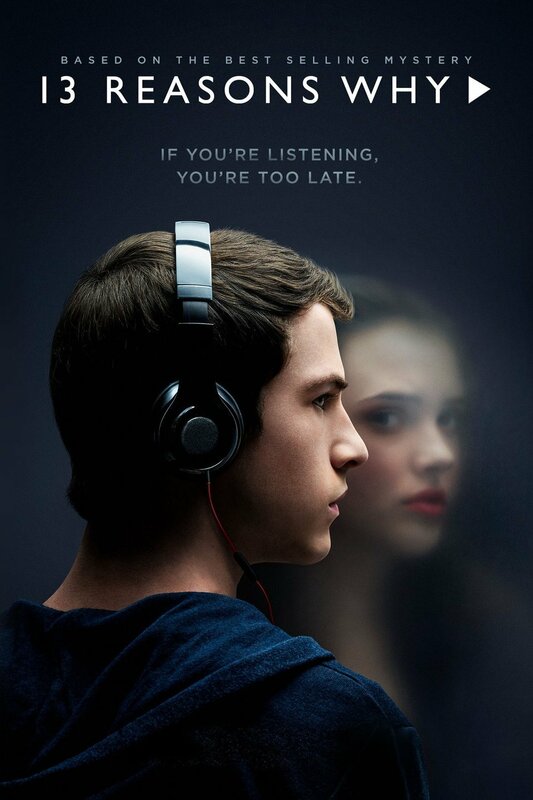 The series, based on the 2007 novel of the same name by author Jay Asher, revolves around the suicide of high school student Hannah Baker. Hannah, subjected to sexual assault, cyberbullying and unresponsive adults, leaves behind a box of thirteen cassette tapes. Each of the tapes contains “an emotional audio diary,” delving into one of the different reasons she ended her life and becoming the basis for an individual episode. Barb Johnson-Giese, Behavioral Health Coordinator at Door County Medical Center, also points out that along with the sense of glamorization the Netflix series may inadvertently attach to suicide, the way in which 13 Reasons Why portrays the events that lead up to Hannah Baker’s death also creates a disconnect with reality. Each of the series’ thirteen episodes recounts the events of Hannah’s life through flashbacks. So while the series may begin with Hannah’s suicide, she is present in every episode—in a sense, continually brought back to life throughout the course of the first season. Herein lies the disconnect: 13 Reasons Why fails to clearly present the finality inherent in a completed suicide, it fails to present the real life consequences of such an action. Despite its drawbacks, Johnson-Giese also sees 13 Reasons Why as an opportunity. Now that summer is upon us, and given its quality and popularity, there is a strong likelihood most teens will end up watching the series. Johnson-Giese encourages parents to watch the show with their children and discuss it together, including reasons not to use suicide as a way to cope. She strongly recommends that parents ask their children if they have ever thought about suicide as, despite the myth that discussing suicide will plant the idea in the teen’s mind, studies have shown open dialog will decrease the likelihood they will attempt suicide. She says talking about suicide and mental health issues lets children know you care and are willing to talk with them and get them help if needed. It has been reported that among teens, 55% of suicidal thoughts can be directly linked to discrimination and bullying in school. In an effort to address the causes of teen suicide, DCMC has partnered with Door County High Schools, sponsoring a program called LEAP—A Human Kindness Project. LEAP is an acronym for “Learning to Empower and Appreciate all People,” and manifests as a public theatrical performance, which integrates dance, spoken word, song, visual arts and multimedia imagery. Inspired by Terry Lundahl, who in her work for HELP of Door County taught a “Violence-Free Relationships for Teens” class in local schools, LEAP held its first performance in 2015. With each subsequent performance, the project has sought to build a relationship between students, local artists and educators, pairing 30 – 40 high school students with roughly 10 “creative facilitators”—adult mentors that help guide and create the performance. Additionally, each performance has focused either on a specific area of social injustice (bullying) or has sought to advocate messages of tolerance, compassion and understanding (power of community) with the overarching goal of inspiring and nurturing the positive aspects of human nature in both the student-artists and the audience. According to Kevin Grohskopf, director of marketing and public relations for DCMC, “the most effective tools anti-bullying advocates have are prevention, education and raising awareness.” With that in mind, the concept behind LEAP has been extended further. In 2017, JUMP Theatre was created, giving the role of performing-artist to middle school students while high school seniors have adopted the role of creative facilitator, the philosophy behind LEAP now reaching a broader audience and a greater span of age groups. With programs like LEAP—A Human Kindness Project and Jump Theatre, DCMC and local schools have made great strides in helping to shine a bright light on the root causes of teen suicide. Nevertheless, it is important that parents work to remain aware of their child’s social media use—what sites are visited most, for example—and for significant changes in behavior—anger in teens is more common than an outward display of depression. If a teen expresses suicidal thoughts, take them seriously. Johnson-Giese says many resources are available to assist people who are thinking about suicide. As places to turn for help, she suggests calling the Suicide/Mental Health Crisis Line at 920-746-2588 or texting “HOPELINE” to 741741, which connects you to trained crisis counselors. Additional sources of information include your own Employee Assistance Program, accessed through your employer, or the Community Resources tab on the Door County Library website. If it’s an emergency, calling 9-1-1 or going to the hospital emergency room are the best options to avoid a tragedy. This entry was posted in Health Information, Outreach and tagged anti-bullying, HOPELINE, Human Kindness Project, LEAP, suicide prevention on July 24, 2017 by Door County Medical Center.